The scientific study of human appetite and eating behavior has become increasingly important in recent years due to the rise of body fat dysregulation and the conditions of obesity, diabetes and eating disorders. In addition, changes in appetite occur in several other disease states and physical conditions affecting general health. For these reasons a strong methodology is required to ensure objective and quantifiable measures of appetite behavior and associated psychological sensations. The use of a multi-level research platform can help the alignment of psychological, behavioral and physiological variables. The Satiety Cascade provides a graphic formulation for clarifying distinct measurable variables such as hunger, satiation and satiety. An agreed methodology allows outcomes from different studies to be compared. Specific experimental designs, measurement instruments, and standard operating procedures have been developed to ensure good conduct. Several study designs are widely used and can be deployed to answer specific research questions. Specific procedures have been developed for the measurement of homeostatic and hedonic processes involved in appetite. 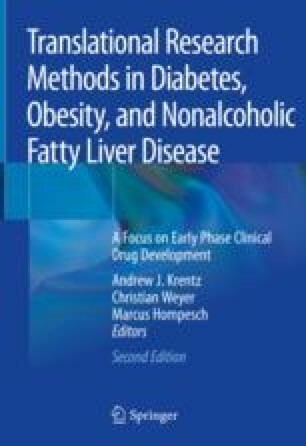 A case study of the comprehensive assessment of a potential anti-obesity drug is described as a model procedure. Good Laboratory Practice applies in this field as in other areas of biomedical research.